Last year at I/O conference, Google CEO Sundar Pichai announced a better machine ‘learning models’ that would help democratise artificial intelligence beyond organisations and make its tool available for everyone. 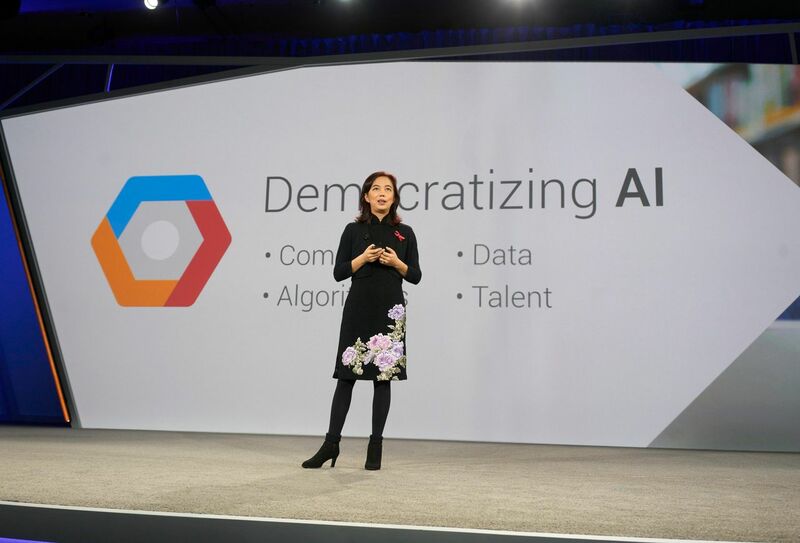 This January Google had launched cloud-based learning services, Cloud AutoML aimed at hundreds and thousands of developers who does not have expertise in machine learning and artificial intelligence. To make AI more accessible to people, Google is now pursuing to educate more people about artificial intelligence, with free online course like Learn with Google AI and advanced projects like TensorFlow, cat doodles and a machine vision experiment. Not only Google, but other tech companies like Microsoft, Apple, Amazon Web Services (AWS), IBM are also making machine learning and artificial intelligence accessible to everyone. Apple too has joined the race last year to democratise AI by launching a contest to help coders build apps for Apple devices. Even high-tech industry are getting into action. Through Michelangelo Machine Learning, Uber is providing a platform which has capabilities to manage data; to train, evaluate and deploy AI predictive models. As artificial intelligence and machine learning is touching every corner of the industry, democratisation of AI is only obvious. And this year will mark the beginning of AI democratisation. According to a Gartner report, AI is poised to take a prominent place within organisations in 2018. Advances in virtual assistants and deep learning will foster adoption of artificial intelligence and companies and government will use AI in much border range. Of late, there has been a sudden boom in the machine learning platforms, which is letting non-AI employees to tap into the huge amount of data that businesses are sitting on. The shortage of qualified data scientists and machine learning experts has often been highlighted as the reason behind the handbrakes on the adoption of machine learning and data. But the growing number of machine learning tools are putting AI and data analytics in the hand of beginners, non-experts and researchers. After tech giants have started offering API driven tools into their cloud platforms, these machine learning platforms are becoming more accessible. Through these platform, they are simply letting non-AI experts carry out day-to-day analytics without depending much on the company’s data specialist. The tech firms are finding ways to make up for the talent shortage and reduce the dependence on data scientist or machine learning experts. For instance, with the AutoML, Google is producing a targeted machine learning algorithms that doesn’t require human dependence. AutoML is putting the complex artificial intelligence algorithms into the hands of businesses and making them less dependent on AI experts. With the focus towards more data localisation, startups and government are setting up their own data centres. For instance, under National Informatics Centre, government of India has set up many data centres in states. Telangana government partnered with Nasscom to set up a Centre of Excellence for Data Science and Artificial Intelligence. Reportedly, China is building a city-sized cloud computing complex which will have 6.2 million square feet of building, with 646,000 square feet of mega data centre space. Last year, China have declared a ambitious plan to become AI superpower by 2020. Apart from tech companies like Amazon, Microsoft, Oracle, Jack Ma-led Alibaba Group has opened its first data center in Mumbai, with a aim to expand its cloud services to Indian enterprises. Targeting the growing ecosystem of software developers and startups in India, DigitalOcean have set up its data center in Bangalore. Democratisation of artificial intelligence is making machine learning tools and technologies widely available for masses and businesses at an affordable cost. But what is actually driving this AI democratisation? According to a survey conducted by Qualtric, only 10 percent of internet users worldwide consider themselves as AI experts. On the other hand, 53 per cent said they know about AI, but wouldn’t call themselves an expert on the subject. To help provide resources more to the masses to use AI in their work and everyday life, many tech companies are educating and making it more accessible to the masses. There is a growing body of students and researchers from varied fields who are gravitating towards deep learning thanks to Google’s TensorFlow. There is a huge community engagement with TensorFlow being declared the #1 repository in “machine learning” on Github. Most of the TensorFlow adopters are Python programmers, leaning towards deep learning projects. Another key point is that Google is betting heavily on its Google Cloud ML engine and this is one of the ways to attract people to Google Cloud. Beside funding their own machine learning platform, tech companies are also partnering with other companies to democratise artificial intelligence and machine learning. In 2017, Microsoft and AWS had introduced a new open source deep learning interface which is intended to make developing solution using machine learning easier and faster. Gluon provides a clear, concise API for defining machine learning models using a collection of pre-built, optimised neural network components. Developers who are new to machine learning will find this interface more familiar to traditional code. More seasoned data scientists and researchers will value the ability to build prototypes quickly and utilise dynamic neural network graphs for entirely new model architectures, all without sacrificing training speed, claims AWS news blog. 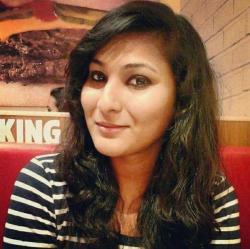 The tech firms are collaborating with data science startups to further this initiative. Google acquired data science startup Kaggle to make artificial intelligence and machine learning available for developers, users and enterprises. Microsoft’s AI fund is investing in AI startups like Bonsai and Agolo. Bonsai simplifies open-source machine learning libraries like TensorFlow to help enterprises incorporate artificial intelligence into their businesses and also to construct their own AI models. Agolo is a news summary startup that uses artificial intelligence to summarise news for media companies on Facebook or Alexa. Programs like NVIDIA’ Inception, which helps accelerate startups pushing the frontiers of AI and data science has supported more than 2,000 AI startups in about a year. Tech companies are even supporting ventures into areas not touched by machine learning and artificial intelligence. Microsoft’s $50 million AI for Earth initiative to help organisations that are working to solve the climate change crisis. Recently, Google has signed a key cloud computing deal with Flex to provide a standard way for medical devices to shunt data up to the internet for for analysis. This key deal will also help deepen Google’s presence healthcare cloud computing market.